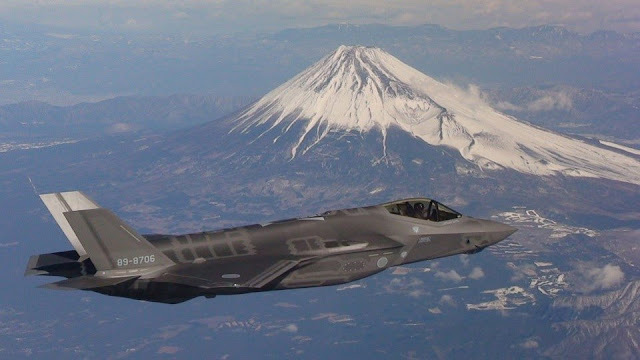 RonDoids: Japan Loses F-35A Aircraft in the Pacific, Leaving a Treasure Trove of Technology For Russia & China To Find! Holy Krap! Japan Loses F-35A Aircraft in the Pacific, Leaving a Treasure Trove of Technology For Russia & China To Find! Holy Krap! Aomori prefecture, Japan, in the Pacific. several decades of US airpower. the heart of the US military. "There is no price too high in this world for China and Russia to pay to get Japan's missing F-35, if they can. Big deal," Tom Moore, an expert on Russia and weapons proliferation, tweeted. Basically, if Russia or China, perhaps using their advanced and stealthy submarines to probe the ocean floor, first found the jet, they would gain a treasure trove of secrets about the most expensive weapons system in the history of the world. The F-35 crash in the Pacific represents the first-ever opportunity for Russia and China to hunt for one of these planes in the wild because the jet has crashed only once before, and that time was on US soil. China to build their own versions of the jet, up to a point. "The general shape of the jet is well-known, as are its performance characteristics so not much to gain there but parts of radar and other sensors would be prime targets for recover and testing/even attempts at reverse engineering," he added.